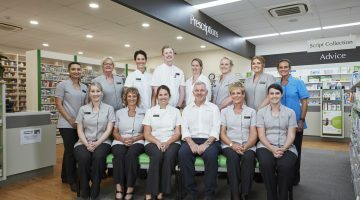 The difficulty in recruiting pharmacists to rural areas is ongoing and one which Jessica Burrey, proprietor of the Emerald Plaza Pharmacy in Queensland, is all too well aware of. But it’s also one she can’t quite understand, having moved to Emerald nine years ago and finding the rural environment to be hugely satisfying – both professionally and personally. Ms Burrey also addresses the challenge by establishing relationships at all levels of the pharmacy supply chain. “This includes involvement at careers fairs, work experience and traineeship opportunities for local students, collaboration with Central Queensland Rural Health to provide funded accommodation for allied health students, and ‘experience’ placements showcasing the Central Highlands and rural health, as well as maintaining connections with recruitment agencies,” she said. Ms Burrey said she was passionate about the community she lives in. “Improving health, inspiring wellbeing and connecting with our community are core beliefs of my business and also central to my personal approach,” she said. “Every activity we undertake is driven by these beliefs. We engage our community in a variety of ways, working consistently to encourage healthier living. 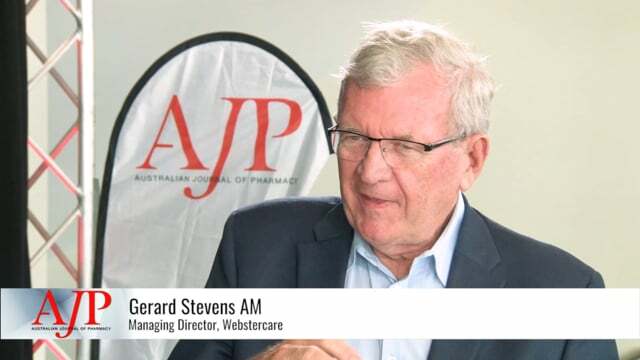 “For instance, we have a very big demographic of young families and so my pharmacists provide community education by presenting to local groups such as the Central Highlands Mothers Information and Support Group. “I also volunteer at the mothers’ group and I give a presentation at each of their meetings. “More broadly my staff present and collaborate with allied health professionals to provide education as part of cardiac rehabilitation. Ms Burrey said the pharmacy recently had teamed with the Central Highlands Regional Council to provide education regarding smoking cessation and it was currently working to facilitate the My Health for Life program among council employees. Ms Burrey said the strong focus on preventative health was a recognition of the other major demographic the pharmacy services – people in the mining and agricultural industries. When looking at services the pharmacy could provide, Ms Burrey said it conducted research into what the local community wanted and needed. “I really want to create a health hub within our community and offer services that fit. I don’t believe in offering services that other health professionals already provide and do very well at,” Ms Burrey said. “We take a two-pronged approach to service provision. We first look at what the service needs of the community are and then we also look at what the interests of our team are. “It’s very important to see what the team is interested in providing. Having all the team engaged in the service is an important part of our philosophy. 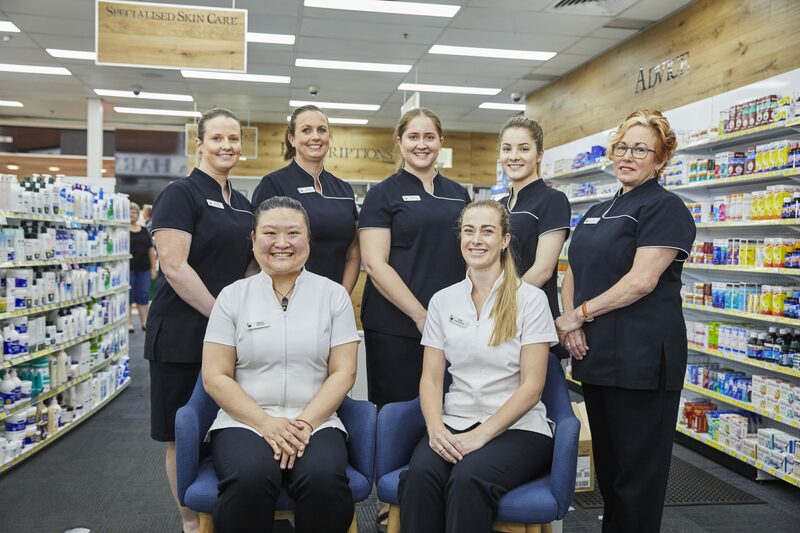 Another important aspect of the pharmacy’s approach is building relationships with allied health services in the local community which Ms Burrey said was pivotal to the preventative health approach taken by the pharmacy. “We have created referral pathways to provide a multidisciplinary approach to patient care,” she said. “Allied health relationships are enhanced with my membership of the Central Queensland Clinical Council for the PHN, the Mental Health Alcohol and Other Drug Strategic Collaborative and the Central; Queensland Suicide Prevention Central Highlands Leadership Group. “We collaborate with other health professionals and we are always happy to go and talk at clinics and so on. “In addition, to enhance our service provision and create a central hub for healthcare I am currently in discussion with allied health professionals to incorporate their practice from our clinic along with our naturopath who offers consultations two days a week, regularly consulting with pharmacists to ensure an integrated approach to patient care. Ms Burrey said it was important to step beyond the pharmacy’s walls to reach the broader members of the local community. “While we’re about giving medication when people are sick I believe that as pharmacists we have to step into the preventative space more. It’s an area I personally find to be very rewarding,” she said. 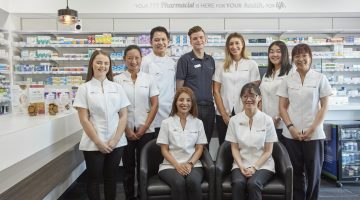 While taking the health message to the community was important, providing in-store services was core business and the pharmacy has undergone a major transformation over the past two years to be better placed to provide the services the community wants. “A massive transformation of the business has taken place in terms of its appearance, processes and services since I purchased it in 2016,” Ms Burrey said. “Assessing the workflow of the pharmacy I identified key changes required to improve the overall function of the business and transformation to a professional service model.